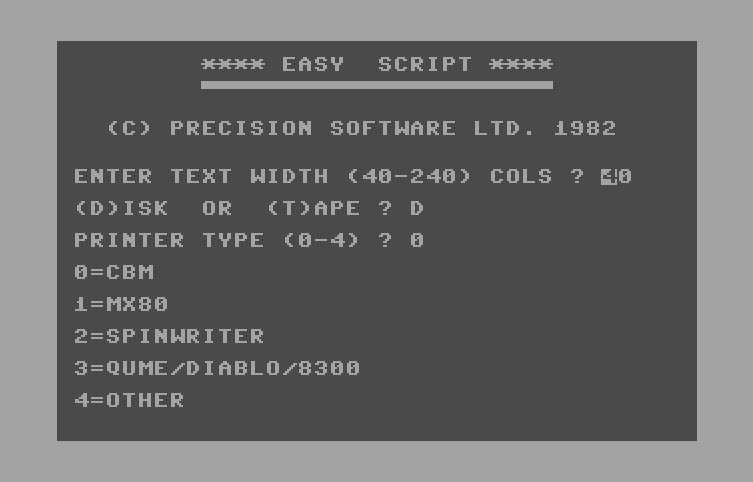 Easy Script is one of the more popular and affordable word processors for the Commodore 64. Its output files are in a SEQ (sequential file) format, so they are relatively easy to convert to a more modern, readable format. Included in the archive is the program, manual and review in pdf format.